First things first: Do not, should you encounter them in your wanderings, tell my parents about this recipe. (The Internet is a private place, right? Right?? Oops.) My parents love ducks. Not, like, love ducks with wine and leeks. I mean my parents use “duck” as a pet name for each other, refuse to eat duck, and once looked at me like I’d just committed the worst betrayal when I considered ordering something with duck fat at a restaurant. 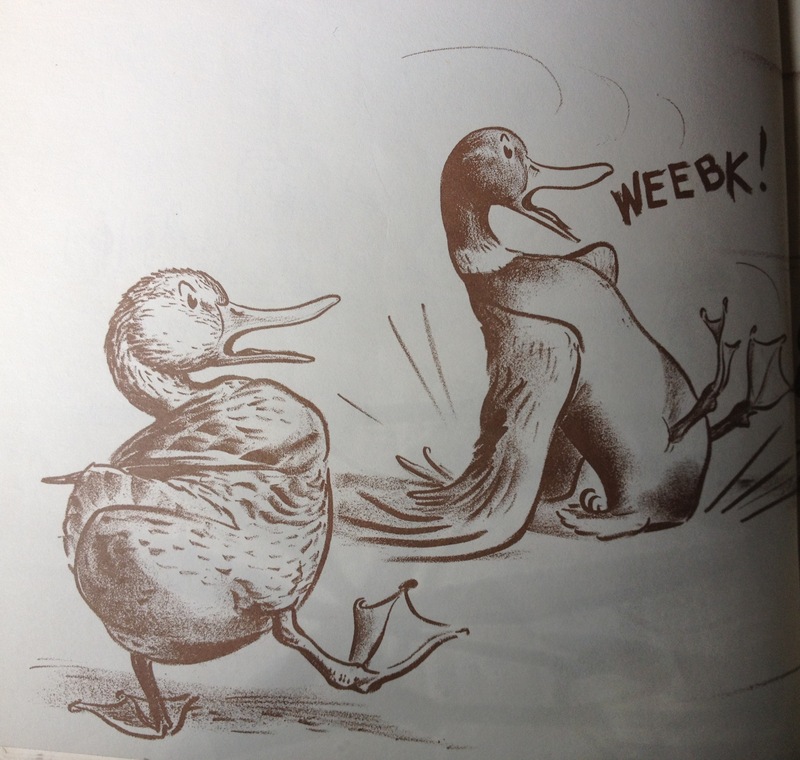 My father once encountered a duck quacking indignantly in the dried-up fountain of Rockefeller University, and immediately went up to the front desk to explain that the ducks needed the fountain refilled. So, yeah; let’s be clear: I am committing a complete and total family sin here, just hours before Yom Kippur. And holy wow is it tasty. At the farmers markets this past weekend, I noticed Sea Breeze Farm was selling small containers of duck fat. I gave in the second time I saw it. I’ve always heard potatoes and duck fat are a dreamy combination. Not having much time to make a snack, I went for the quickest route I could think of. 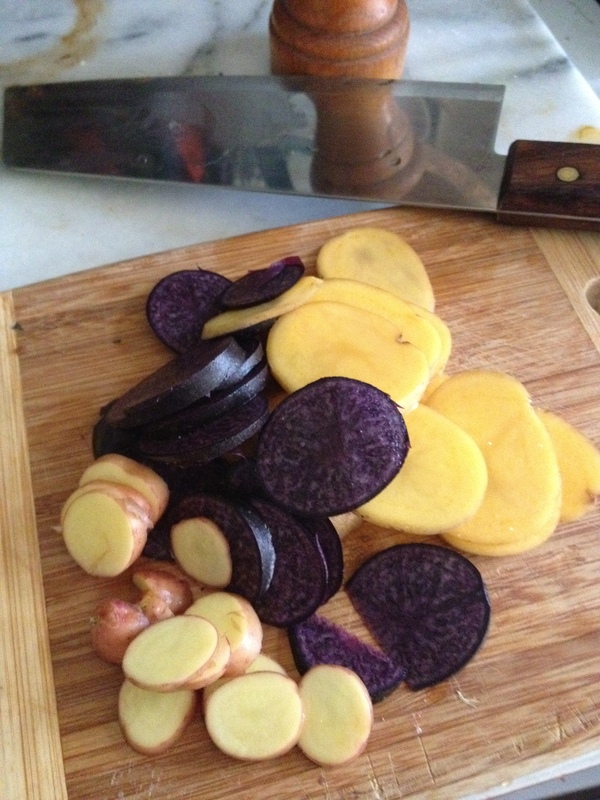 I gathered a few baby potatoes (some skagit golds and all-purples from Nature’s Last Stand and some ruby fingerlings from my garden). I sliced them into thin pieces. I heated some duck fat on medium-high, generously covering the bottom of a cast iron pan, and added the potatoes to cover the bottom. I added a little more duck fat, one more layer of potatoes, and a sprinkling of salt. Then I covered it and walked away for a few minutes. When I came back to the pan, the potatoes on the bottom were brown. I flipped and stirred until the uncooked ones were on the bottom, and let those brown too (again, covered and without stirring). 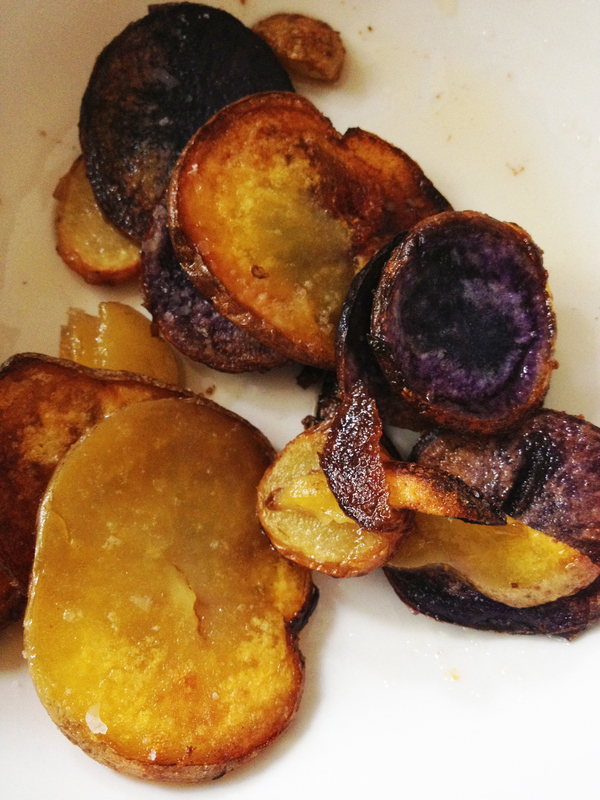 A few minutes later, all the potatoes were cooked. I sprinkled on a bit more salt, and that was that. This works simply as is but would be a nice side to roast chicken or lamb or a winter squash soup or a big salad.